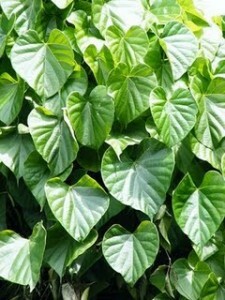 Additional Info: The plant is native to Himalayas, and is also grown in the southern parts of India. Elements Applied: Stems and roots are commonly used in herbal medicine. Used For: The plant generally boosts one’s metabolism, reduces fevers and prevents their reappearance, boosts urination and stimulates the digestive system. The plant is applied to treat male infertility linked with seminal deficiency and low quanlity and cure urinary organ diseases. It’s also applied to stimulate the digestive system. Among the diseases treated by the herb the following ones are listed: leprosy, tuberculosis, constipation, rheumatism, secondary syphilis, skin inflammations, liver disorders, jaundice, gout, and various fevers. The plant is used to cleanse the blood and thus can be applied for immune system disorders, including AIDS. The remedy is prescribed for cancer sufferers, who have overcome chemotherapy. Preparation and Intake: The remedy is produced in form of powders and extracts. The daily dose comprises one ounce and more, even for cancer patients. Safety: There is no data concerning the plant’s safety level. Don’t take the remedy unless you have a consultation with a specialist.